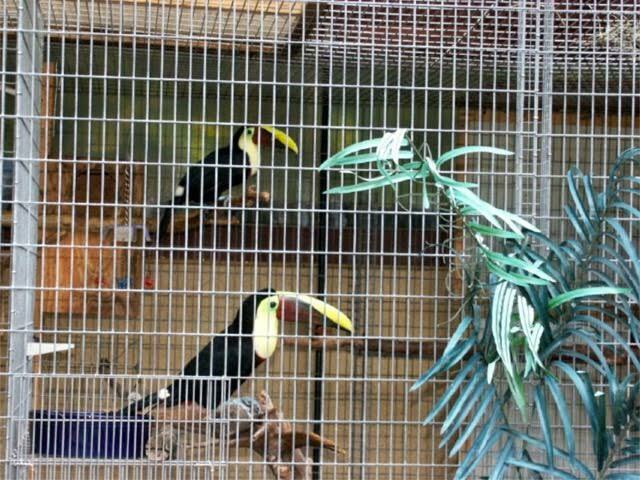 Marc Weiss bred this pair of Swainson’s toucans. As a protein supplement, Marc fed the birds hard boiled chicken egg not mixed with bread crumbs. 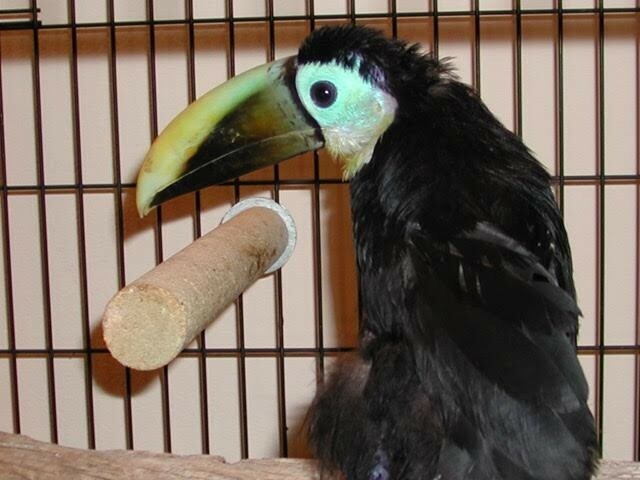 The toucans used a wooden box for a nest. A palm log also was in the cage. The birds demolished this and used some of the debris in the box for nesting material. Marc Weiss believes that the “trashing” of the palm trunk is an important part of nesting behavior. Their basic diet was fruit, and Mazuri softbill diet. Breeding was induced using my egg food, not just egg. Mixture of mashed eggs, soy protein isolate and vitamin/mineral mix. They would also eat anything living that got into the aviaries which had half inch X two wire as I remember. So any bugs, lizards, etc. would be eaten as they were outdoors.